September is Beirut’s real springtime. Every year at this time the streets are in bloom, not with beautiful flowers, but with thought-provoking art installations, intriguing sculptures and eye-catching artworks. During Beirut Art Week – held this year from September 13 to 20 – the curious and the culturally-inclined are invited to roam the hectic streets of the city for a much-needed break, admiring artworks by renowned Lebanese and international artists in public spaces as well as in several private boutiques that open their doors to the public for the occasion. This year’s edition of Beirut Art Week is marked with 20 stops, some of which showcase temporary art pieces that are visiting Lebanon for just these seven days, while others are permanent pieces located in Beirut year-round. 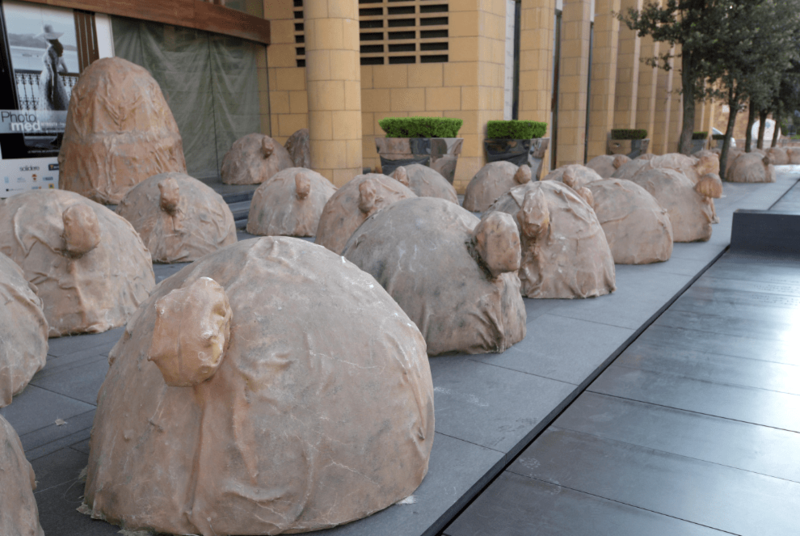 Pedestrians and motorists stuck in downtown’s notorious traffic will notice Ghassan Zard’s boulder-like “Turtles” instillation – which has already toured various Lebanese cities – set on the sidewalk just outside Le Gray hotel. 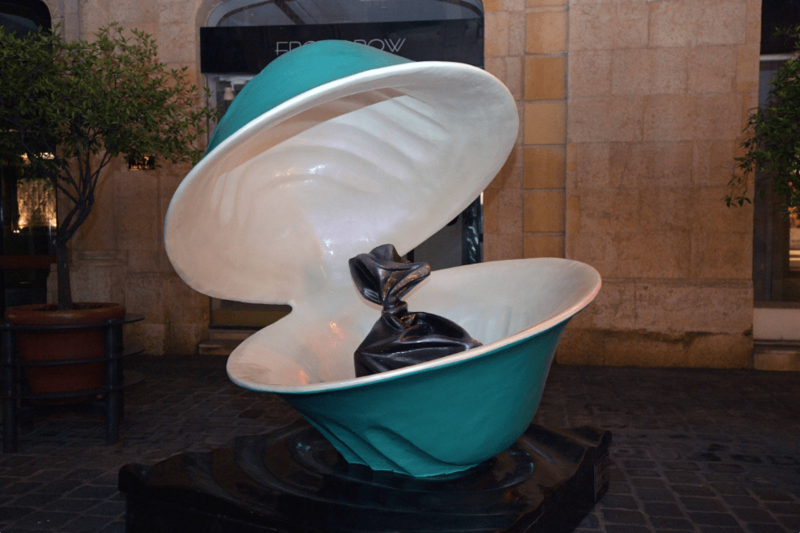 In the little walkways between Foch and Allenby streets, Air France displays “Black Pearl”, a sculpture by Nabil Helou that the artist describes as a shout against corruption and call for action for beautiful Lebanon. 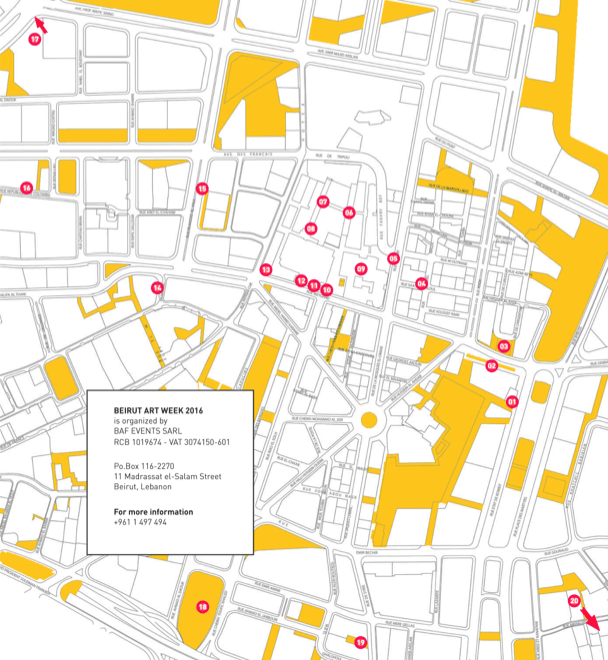 Beirut Souks is the site of nine artworks. During the inauguration of Beirut Art Week, which included a walk around downtown to all the sites, children and adults alike were captivated by David Mach’s large gorilla sculpture in the souks’ Ajami Square, made in part with clothes hangers. Close by is a Phoenician-inspired work by Lebanese artist Kameel Hawa. 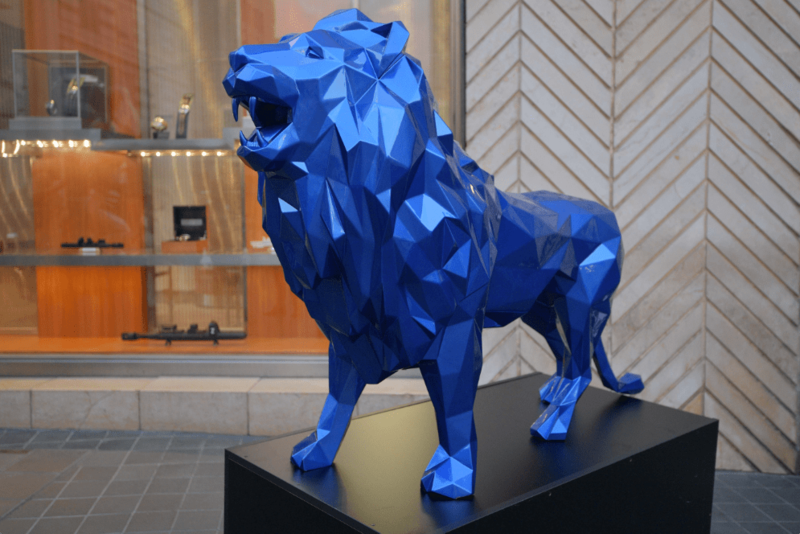 A striking blue lion and silver gorilla are displayed outside the Panerai boutique. 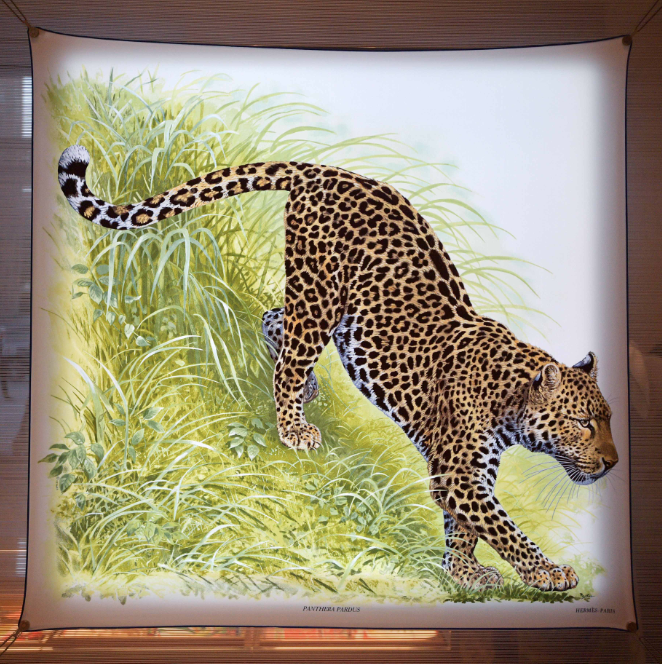 Hermes worked with artist Robert Dallet on several elegant scarves printed with animals while Elie Saab collaborated with Greek photographer Evangelia Kranioti on a series of contrasting photographs shot in Beirut, some featuring the Lebanese couturier’s gowns. 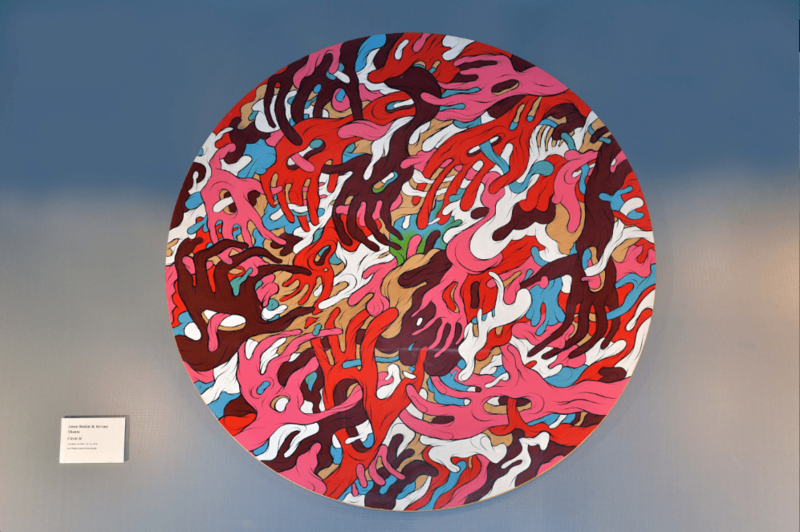 Meanwhile a Jason Botkin and Jeremy Shantz piece is hanging on a wall of the Plum boutique. Beirut Art Week features a total of 17 artists including: Ghassan Zard, Louis Debré, Nabil Helou, Bassam Kyrillos, Kameel Hawa, David Mach, Arne Quinze, Louis Lleo, Xavier Corbero, Roger Dallet, Jason Botkin & Jeremy Shantz, Anachar Basbous, Ezzat Mezher, Pablo Reinoso, Evangelia Kranioti, Richard Orlinski and Saloua Raouda Choucair.